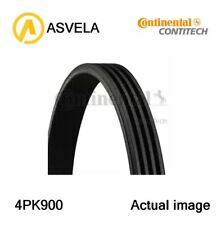 6PK1050 CONTITECH DRIVE BELT (VAG A3 2.0Tdi, Golf V Tdi) NEW O.E SPEC! IMPORTANT POINT, THERE ARE 2 SIMILAR BELTS FOR THESE TOYOTA / LEXUS ENGINES, ONE HAS 211 TEETH AND THE OTHER HAS 209 TEETH. THIS BELT HAS 211 TEETH, NOT 209. OEM references. LOVEL IFE 3 B A Y. 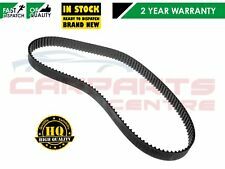 1 x TIMING CAM BELT OE QUALITY FITS LEXUS MK1 IS200 2.0 GXE10 1G-FE 1999-2005 PLEASE LEAVE VEHICLE REGISTRATION NUMBER AFTER PURCHASE TO AVOID ANY DELAYS IN THE DELIVERY PROCESS!. 1 x ALTERNATOR AUXILLARY FAN BELT 1 x NEW AIR CON BELT 1 x NEW POWER STEERING BELT MEYLE GEMRNAY 2 YEARS WARRANTY FITS LEXUS IS200 2.0 GX10 ALL MODELS 1999 - 2005. LEXUS LS (_F1_) 400 (UCF10_) Saloon Petrol 12/1989 12/1995 RWD 32 245 180. Function Timing Belt. LEXUS LS (_F2_) 400 (UCF20_) Saloon Petrol 12/1994 08/1997 RWD 32 264 194. LEXUS LS (_F2_) 400 (UCF20_) Saloon Petrol 10/1994 08/2000 RWD 32 253 186. Please read full listing description carefuly before you order to make sure the part does fit your car. 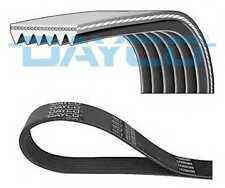 - ALTERNATOR FAN BELT AC AIR CONDITION POWER STEERING BELT FOR LEXUS IS200. 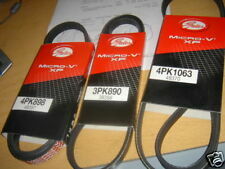 MULTI V DRIVE AUXILIARY FAN BELT (JE53347) - QTY:1. Lexus - GS - GRS19_, UZS19_, GWS19_ [2006-2011] Saloon - 3456ccm 345HP 254KW (Hybrid). Lexus - GS - GRS19_, UZS19_, GWS19_ [2005-2011] Saloon - 2995ccm 249HP 183KW (Petrol). 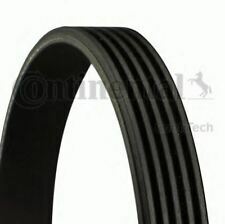 Gates Multi Rib V-Belt (Auxiliery Drive Belt). Vauxhall Senator MK II 9/ 1987 - 10/ 1993 Petrol: 2.5, 2.6, 3.0 25E, C26NE, 30NE, C30SE, C30NE. Audi Coupe 89, 8B 8/ 1991 - 12/ 1996 Petrol: 2.6, 2.8 ABC, AAH. Blue Print Auxiliary Belt Land Rover Discovery Range Lexus IS 200 220 AD07R1872 - Free Delivery from Simply Car Parts - Brand New BluePrint part - 3 Years Manufacturers Warranty. Timing Belt fits LEXUS SC430 UZZ40 4.3 01 to 10 3UZ-FE QH. LEXUS SC Convertible (UZZ40_) 430 (UZZ40_) Convertible Petrol 05/2001 07/2010 RWD 32 286 210. Function Timing Belt. LEXUS GS (_S16_) 400 (UZS160_) Saloon Petrol 12/1997 11/2000 RWD 32 294 216. Function Timing Belt. LEXUS IS I (_E1_) 200 (GXE10) Saloon Petrol 04/1999 07/2005 RWD 24 155 114. LEXUS IS SportCross (_E1_) 200 (GXE10_) Estate Petrol 10/2002 10/2005 RWD 24 155 114. GATES 5282XS. FOR LEXUS IS200. This is an original quality part manufactured by Gates. Vehicle compatibility. No of Ribs::7. Engine Components. LEXUS 90916W2035. LEXUS 90916W2014. We just want you and your car to be happy! You'll have the part ASAP. We will always attempt to rectify the issue as fast as possible! LEXUS LS (_F3_) 430 (UCF30_) Saloon Petrol 10/2000 08/2006 RWD 32 283 208. Function Timing Belt. LEXUS GS (_S16_) 400 (UZS160_) Saloon Petrol 12/1997 11/2000 RWD 32 294 216. LEXUS GS (_S16_) 430 (UZS161_) Saloon Petrol 11/2000 12/2004 RWD 32 283 208. GATES Timing Belt. This is a genuine Gates product and is equivalent to OEM quality. Gates is the global leader in premium timing belts and components. Their products are fitted by vehicle manufacturers and approved garages worldwide. LEXUS IS I (_E1_) 200 (GXE10) Saloon Petrol 04/1999 07/2005 RWD 24 155 114. LEXUS IS SportCross (_E1_) 200 (GXE10_) Estate Petrol 10/2002 10/2005 RWD 24 155 114. Function Timing Belt. GATES 5282XS. LEXUS LS (_F2_) 400 (UCF20_) Saloon Petrol 09/1997 10/2000 RWD 32 284 209. LEXUS LS (_F2_) 400 (UCF20_) Saloon Petrol 09/1998 10/2000 RWD 32 276 203. Function Timing Belt. LEXUS GS (_S16_) 400 (UZS160_) Saloon Petrol 12/1997 11/2000 RWD 32 294 216. Toyota Carina 1987 MK II [1983-1993] Hatchback 1.6 1587ccm 102HP 75KW (Petrol). Toyota Carina 1988 MK II [1983-1993] Hatchback 1.6 1587ccm 102HP 75KW (Petrol). Toyota Carina 1989 MK II [1983-1993] Hatchback 1.6 1587ccm 102HP 75KW (Petrol). FOR LEXUS LS400. This is an original quality part manufactured by Gates. Part specifications. 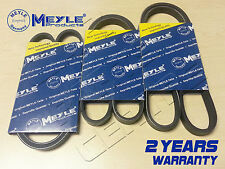 Part Number:6PK2224/6PK2225/6PK2227/6PK2230. LEXUS IS200 2.0 GX10 ALL MODELS 1999 - 2005. 1 x ALTERNATOR AUXILLARY FAN BELT. 1 x NEW POWER STEERING BELT. 1 x NEW AIR CON BELT. FOR LEXUS IS220d. This is an original quality part manufactured by Gates. Part specifications. 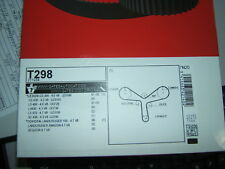 Part Number:7PK1871. LEXUS GS (_S19_) 430 (UZS190_) Saloon Petrol 04/2005 11/2011 RWD 32 283 208. Function Timing Belt. LEXUS GS (_S16_) 400 (UZS160_) Saloon Petrol 12/1997 11/2000 RWD 32 294 216. LEXUS GS (_S16_) 430 (UZS161_) Saloon Petrol 11/2000 12/2004 RWD 32 283 208. Eg, Vetech, Erst Klassig, Franzen, NK, etc. With this in mind, we will indicate what type of product you are looking at within the following guidelines. We will always attempt to rectify the issue as fast as possible! Blue Print Auxiliary Belt Lexus SC 430 OE Quality AD06R2260 - Free Delivery from Simply Car Parts - Brand New BluePrint part - 3 Years Manufacturers Warranty. You'll have the part ASAP. We just want you and your car to be happy! Eg, Vetech, Erst Klassig, Franzen, NK, etc. With this in mind, we will indicate what type of product you are looking at within the following guidelines. LEXUS GS (_S19_) 300 (GRS190_) Saloon Petrol 04/2005 11/2011 RWD 24 249 183. Other references. Applicable Vehicles.